From the bestselling author who created Sookie Stackhouse and her world of Bon Temps, Louisiana, comes a darker locale populated by more strangers than friends. But then, that s how the locals prefer it. Welcome to Midnight, Texas, a town with many boarded-up windows and few full-time inhabitants, located at the crossing of Witch Light Road and Davy Road. It s a pretty standard dried-up western town. There s a pawnshop (someone lives in the basement and is seen only at night). There s a diner (people who are just passing through tend not to linger). And there s new resident Manfred Bernardo, who thinks he s found the perfect place to work in private (and who has secrets of his own). I'm a big Charlaine Harris fan and I've read all of her other series, so when I found out she had a new trilogy coming out this year I was super excited. And then I received an ARC months before the book was due to be released, so I couldn't wait to get started. Manfred Bernardo has just moved into the (very) small town of Midnight. He's a 'psychic' and has his own business, conducted online and on the phone, so this isolated place seemed like a good place to move. Most of his work includes the use of psychology and instinct, rather than psychic ability but he does sometimes get real psychic vibes. He's young, determined to get on with his own life, and actually finds the small population of Midnight very welcoming. So he finds himself hanging out in the local diner run by a woman called Madonna, who has a baby and is married to the local handyman. He also meets the mysterious Rev, who only speaks when he has something important to say. Joe and Chuy are a couple and run an antiques store/nail salon. Then there's Fiji, the witch across the road with a very peculiar cat and a knack of constantly surprising Manfred. His next door neighbour and landlord happens to be Bobo Winthrop--now all grown up and no longer living in Shakespeare--who runs a pawn shop. Bobo has two other tenants that are guaranteed to fill you with wonder--one only comes out at night, and the other constantly disappears on secret missions. The Lovell family consists of Shawn and his two kids--Creek and Connor. They run the local gas station and keep mostly to themselves, but Manfred has his eye on Creek. It's a small tight-knit community that accepts Manfred instantly. The day they all get together to have a picnic near the river and find a dead body, things change because the police get involved and everyone's a suspect. No one more than Bobo, because the body is actually his girlfriend. The one he was positive had run out on him months earlier. As it turns out, she was killed and a lot of the evidence seems to point his way. Although he insists he's innocent, Bobo does have a few secrets of his own. 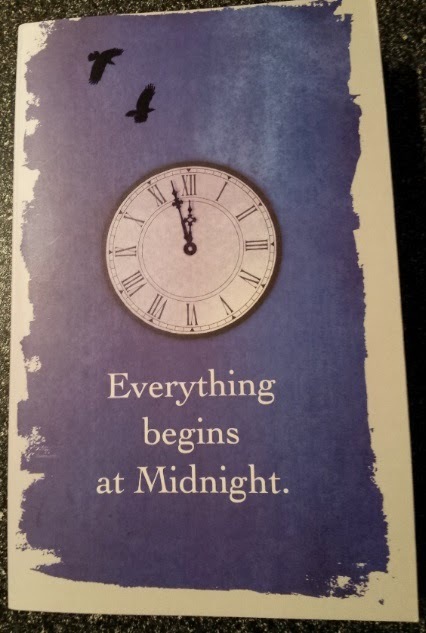 Actually, everyone in Midnight has some sort of secret. Why else would they live in such a desolate place? But one thing Manfred learns pretty early on is that Midnighters take care of each other. Even when faced with the most gruesome, unexpected revelation. OMG. I had a blast reading this book! I loved every minute of it and didn't want it to end. The main mystery is trying to figure out who killed Bobo's girlfriend, Aubrey, but there are so many other things going on in this book. The characters are interesting and full of personal secrets, but since we get intimately introduced to several of the characters via multiple POV, it adds an extra layer to the story and what's going on. Some secrets are uncovered, others aren't. The one thing that will certainly happen is that you'll get caught up in the lives of these people and want to know more. 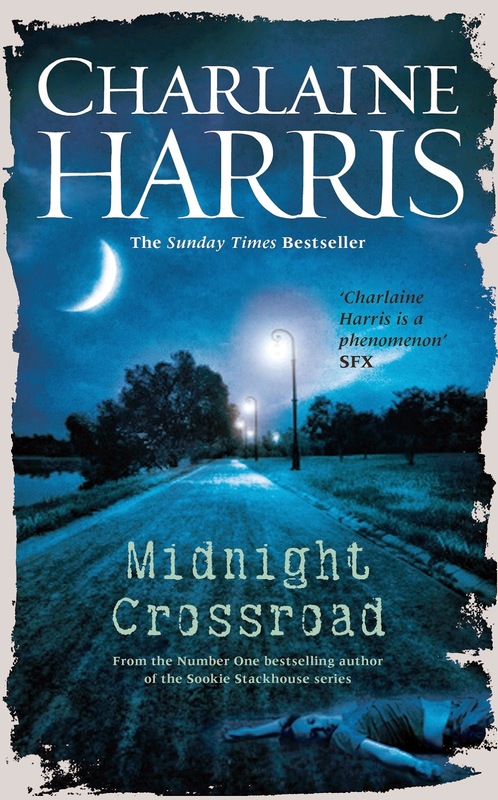 Midnight Crossroad is another compelling book by Charlaine Harris. I love her storytelling style and the wonderful characters she creates. One of my other favourite things about this book is the fact that we catch up with several characters from some of her other series. Manfred is from the Harper Connelly series. Bobo is from the Lily Bard Mystery series. 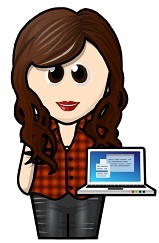 There are creatures from her Sookie Stackhouse series, and even a surprise character from her Aurora Teagarden Mystery series. It's all so cool. Plus, this might be a mystery at heart... but there's also a supernatural slant I really enjoyed!